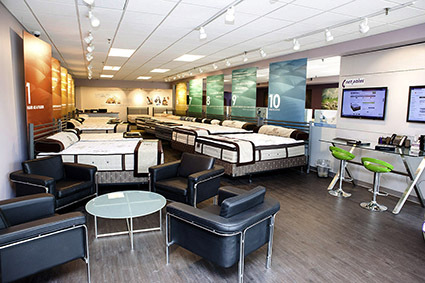 Brighton-based US-Mattress announced today it has added two brick-and-mortar showroom locations in Southfield and Bloomfield Hills, joining its three other stores in the southeast Michigan region. US-Mattress started as an online-only retailer in 2001, with 95 percent of its sales coming directly from the company’s ecommerce site. Its new physical locations also give the retailer access to certain brands and products that would not be available online-only, says Joe Nashif, president of the company. “As the retail industry moves in a direction that offers consumers more purchasing channels, we’re responding to that need with two new US-Mattress showrooms that offer customers an unrivaled in-store experience that directly mirrors their online experience,” Nashif says. The Birmingham showroom was opened in November 2014, which joined the Plymouth and West Bloomfield stores that opened in 2003 and 2008, respectively. The Plymouth and West Bloomfield stores have been recently renovated to offer price comparison screens modeled after the online sales process. In addition to the five Michigan locations, the company has one location in North Carolina.